Facebook recently announced that, starting at the end of the year, it will bar U.S. employers from excluding workers from seeing Facebook job ads according to criteria like age or gender in order to settle legal cases filed against it by civil liberties groups. However, Facebook spokesman Alex Kucharski said the change will only apply within the U.S.
“We will require any advertiser offering housing, employment and credit that wants to reach people in the U.S. to meet these new requirements. Doesn’t matter which country they are based,” he said. 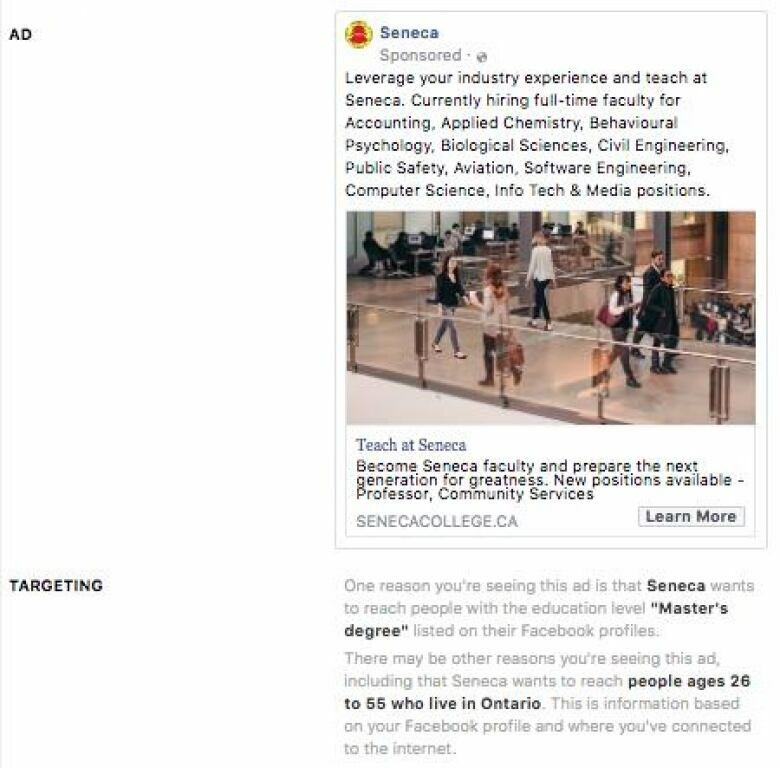 “For this particular ad, (the) Coast Guard targeted the 25-44 age demographic in Canada; 71 per cent of users of this group are on Facebook, with this ad reaching 96 per cent of this group,” wrote Coast Guard spokesman Barre Campbell. Ghislain Desjardins, spokesman for Elections Canada, said it used similar targeting information for 25 returning officer jobs. The Edmonton Police Service ran a job ad last August microtargeting men aged 18-35. Spokeswoman Cheryl Voordenhout said the service runs separate ads targeting men and women. 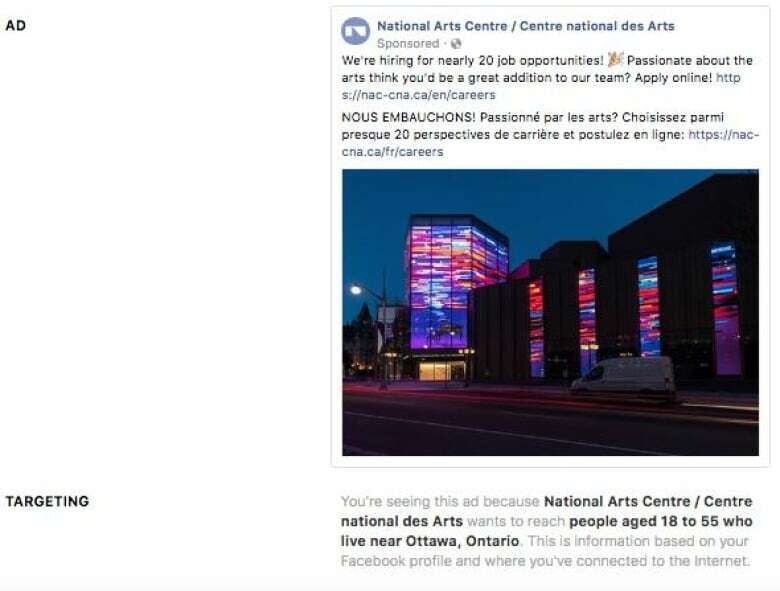 Annabelle Cloutier, spokeswoman for the NAC, said the August ad was targeted by mistake. 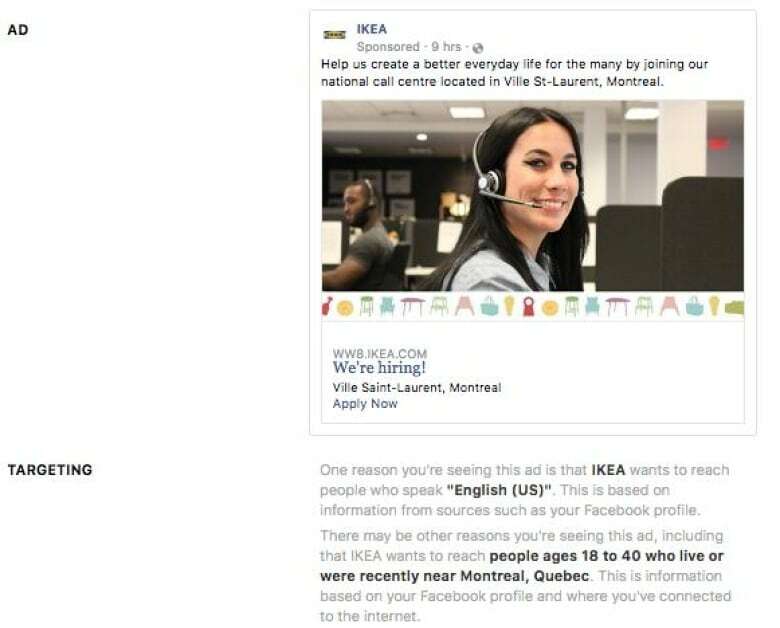 Spokeswoman Stephanie Harnett said Ikea’s job ads are designed to appeal to as wide an audience as possible and the Facebook ad was only one facet of its campaign.